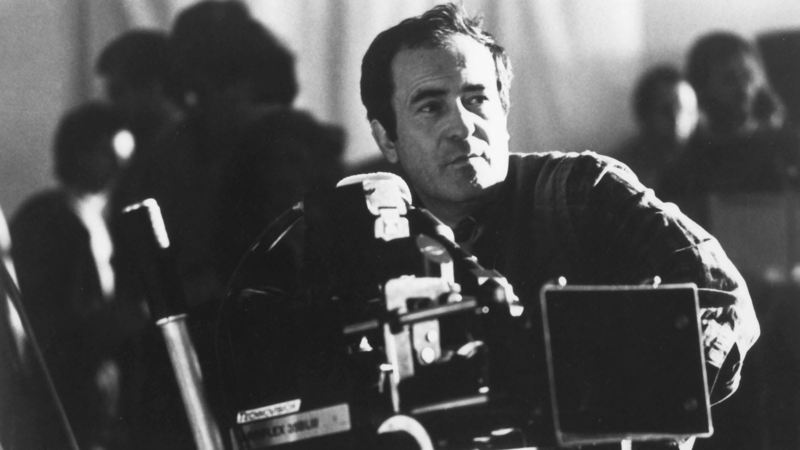 Bertolucci was still a teen when his father Attilio, a renowned poet, moved the family to Rome and befriended Pasolini, the self-described “Catholic Marxist” whose poetry and criticism had already made him a literary sensation in Italy. Bernardo had been shooting short 16 mm films and eagerly joined the crew when Pasolini set out to make his first feature, Accattone, in 1961 “beneath the brooding presence of [producer Federico] Fellini,” as Barth David Schwartz notes in his biography, Pasolini Requiem. Young Bernardo would take the passenger seat as Pasolini raced in his red Alfa Romeo to the set that became for Bertolucci what he’d describe as his film school. Luna (1979), starring Jill Clayburgh as an opera singer, was, as Dan Callahan reminds us at RogerEbert.com, “regarded as a failure in its time, but there are several scenes that rank with Bertolucci’s best work, particularly a sequence where the protagonist Joe (Matthew Barry) is at a theater where they are showing Marilyn Monroe in Niagara (1953) and gradually the roof of the theater starts to open until the moon is visible—we can still hear the soundtrack of Niagara as Joe stares up at the moon in wonder. This was Bertolucci at his intuitive ‘I want it all’ best.” By comparison, Tragedy of a Ridiculous Man (1981) was a modest treatment of contemporary terrorism in Italy, a film now primarily remembered for starring Anouk Aimée and Ugo Tognazzi, who won the award for best actor in Cannes. In Stealing Beauty (1996), Liv Taylor plays a nineteen-year-old American who stumbles upon her sexual awakening among her late mother’s family and friends in a lush Tuscan villa. “As both an example and occasional critique of what is commonly called the male gaze,” writes Ann Hornaday in the Washington Post, “Stealing Beauty aptly summed up Bertolucci’s effect on modern cinema and how our agreed-upon notions of pictorial beauty, formal perfectionism and sensuality have been conditioned by the preoccupations of the male auteur—which in Bertolucci’s case could be prurient and fetishistic one moment, discreetly observational the next.” Bertolucci was rarely more discreet or intimate than in Besieged (1998), an adaptation of a short story by James Lasdun about an English pianist and composer (David Thewlis) in Rome who falls for his African maid (Thandie Newton).